At the age of 8 or 9, I ran away from home. I vividly remember packing my suitcase and thinking ‘I only need one dress: I’m coming back tomorrow’!! This is to make light of the situation but serves as an introduction to the following found amongst the School archives. In 1906 the following comment was entered in the Matron’s book: two pupils ran away from the school on 30th October. Katie and Kate both decided, presumably together, that running away was their best solution. The matron’s book does not record any more detail of the incident but the Chaplain’s book states that he visited the (school) infirmary on 3rd and 12th Nov 1906 to speak to them, presumably for guidance. Clearly, if they were in the infirmary (one assumes in detention!) by 3rd November and they ran away on 30th October, they didn’t get far. Katie was 12 at the time and we hear nothing more of her time at the School. She would have left in about 1910. Public records suggest that she lived to be 88 years old but did not marry so had no children or grandchildren with whom to regale the tale. Kate was also 12 years old but who egged on who is impossible to say. However, whereas Katie does not appear to have kept in contact with the School after leaving, Kate is recorded as visiting in 1912 on what was called Ex-Pupils’ Day. She had been born in Hackney and continued to live in the London, or Greater London, area throughout her life. Perhaps the two had the vague idea of running off to Kate’s family on the other side of London. Who knows? Doris and Dallas were fetched back to school and then kept in the infirmary. Clearly, this was the place to keep people away from everyone else! Doris was 11 years old and Dallas was 12. One is tempted to think that something affected pupils at about this sort of age – perhaps it was the moment of transition from the Junior House to the Senior School? That event would certainly be a big change and might result in unsettled pupils feeling that running away was A Good Idea. Presumably, having got it out of her system, Doris settled down. 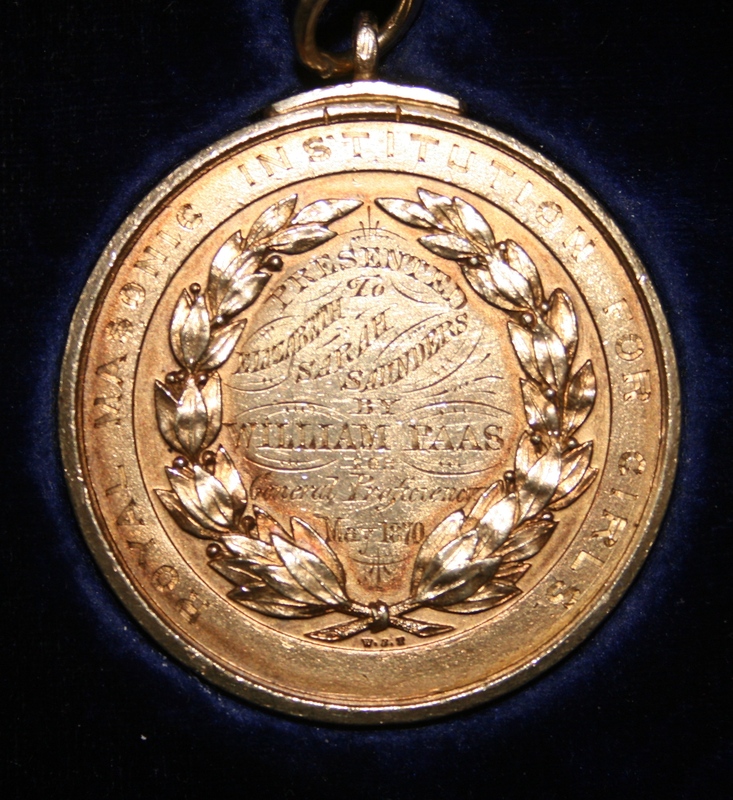 She later became the Gold medallist (1915), not an award dished out lightly. In that year she left, and went to Bedford College to read for a degree, passing the London inter arts exam the following year. It is unclear whether she finished her degree as in 1918 she took up music professionally and became an accompanist (she had won the Music 1st prize in 1913 so clearly had some talent). Perhaps this was not as lucrative as she hoped because the last School reference for her is dated 1926 when we learn that she qualified as a clerk and became a bank clerk. In 1939, she is recorded in national records as being a retired bank clerk although she would only have been 41 years old. Dallas was elected to the School in 1904 in what was described in a provincial newspaper as a very keenly contested election. As she ran away just two years later, she was clearly not quite as keen on being a pupil as those electing her wished! We should perhaps make some allowances, however. Her mother died when Dallas was 3 years old and her father when she five. She can’t have had the happiest start in life. She left school in 1913 and does not seem to have kept in touch with it. Despite her unusual name (and her sisters also had the names Elinda and Elvine), there is little trace of Dallas after 1913. However, it seems most likely that she went to Australia and married a Mr Pepper there. Another scallywag incident happened about half way between the two recorded runaway incidents. In April 1907 we read “Miss Flintoft is sorry to have to report that one of the girls … has damaged the portrait of Miss Jarwood in the Children’s Dining Hall”. We are given no further information but we can perhaps presume it was a deliberate act. The portrait survives to this day and does not appear damaged but could, of course, have been repaired. Florence, then aged 12 – oh, that age again! – appears on the school roll in 1905 and left in July 1910 at her mother’s request, slightly earlier than she should have done. She went to study at the Heatherley School of Art but there is a sad footnote to this. It was reported in May 1919 that Florence had lost her sight and was then resident in a nursing home. She lived in the London area after her time at the School although she had been born in North Wales. She herself believed that she was the first pupil of the School to come from Wales but in fact there were two other pupils who pipped her to that post. We know that Florence lived in the London area as she became a member of OMGA and kept in touch with the School through this. 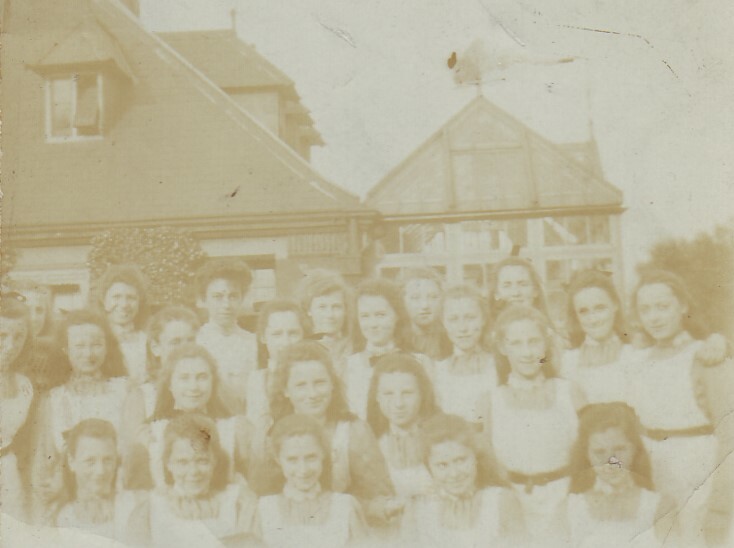 In addition, in a little exercise book in Archives, there are some very early photographs taken by another pupil and a series of addresses recorded. 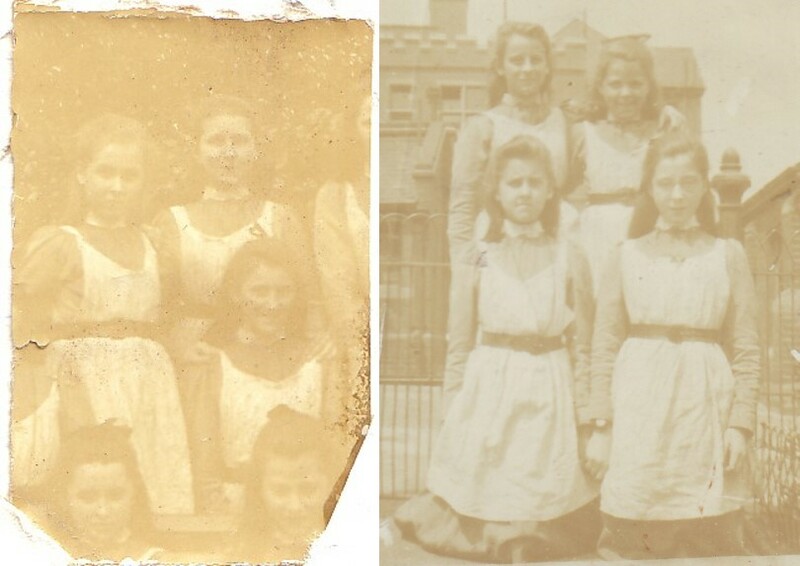 As none of the photographs identify the pupils, we will never know if Florence appears in one. She died on 12th August 1945 and the school magazine records that this was after “after a long illness, nursed by her mother”. Of course misbehaviour was not exclusive to the twentieth century pupils. In 1796, Alice had the somewhat dubious honour of being the first girl to be expelled from the School, ‘for bad behaviour’. It would appear, however, that her mother was as culpable as she and the School authorities decided that the web of lies spun by Alice (and her mother) were entirely with the intent of allowing the girl to stay at home without having to pay for the schooling she had received. It was decided that Alice’s tendency to be a liar would corrupt others so she was dismissed. Telling untruths was decidedly frowned upon. In 1790, a rule decreed ‘that every girl who shall tell a wilful lye shall be fed with Bread and Water for the space of One Day’. There was no ruling laid down for parents who tell fibs! In 1810, Eliza followed the example of expulsion although it was termed ‘improper conduct’ on that occasion. 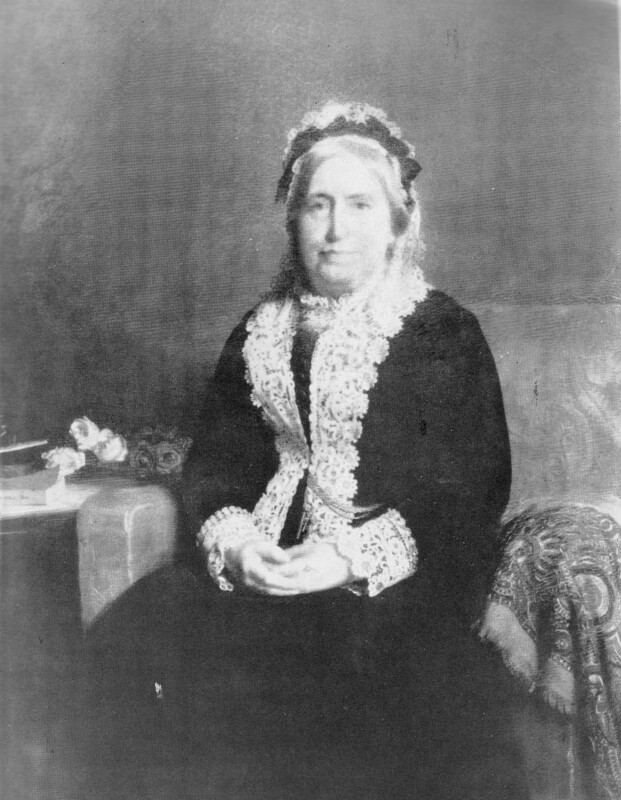 Having waited for two years to get into the School, she was finally admitted in October 1809 so her somewhat abrupt departure in July of the following year suggests that whilst her Friends [the term used for the pupils’ guardians] had been striving to secure her place, Eliza herself might have been less enamoured. The Matron reported that the girl had ‘conducted herself in such an improper manner that the morals of the other children may have been injured’. The mind boggles! These two events bracket what may have been the most concerted example of mass bad behaviour. In 1802 was the General Rebellion. However, rather like a naughty puppy’s bad behaviour is almost invariably the fault of its owner, this incident seems to have arisen because the Matron and the fairly new Assistant Matron didn’t see eye to eye. Presumably this created a fiction which the girls picked up and which adversely affected their behaviour. When we read about it now, it seems relatively mild but it clearly worried the School governance at the time. On 2nd April 1802 there was ‘disorderly and tumultuous behaviour’ and no amount of shushing them did any good. In fact, they laughed. The matron said that the girls had been like this for a while: they laughed at prayer, they sang the hymns instead of joining in the prayer, they laughed when they had been ordered to read in silence, and they constantly repeated Glory be in “a profane and improper manner” (!!) Oh dear. There were deemed to be five ringleaders of this behaviour and, as soon as these were separated out, the other girls settled down. The ring leaders were punished, although at least two of them were clearly incorrigible as a few weeks later they were up to mischief again. One of the girls deemed a ringleader had not received her punishment with the others as she had been ill and had gone home for a few days. When she returned, however, she was called in to receive her punishment. Clearly, it was all too much for her and on 18th May she ‘eloped’ from the school (as running away was then called), taking another girl with her. The Matron marched straight round to the girl’s home, found both of them there and frogmarched them back to School again, probably with a firm grip on the scruff of their necks! What are little girls made? Sugar and spice and all things nice? Not all them. Obviously.